Fiłon T, Rogowski Ł, Kusztal M, et al. Muscle strength and bone mass density in haemodialysis patients. Physiotherapy Quarterly. 2019;27(1):39-45. doi:10.5114/pq.2019.83436. 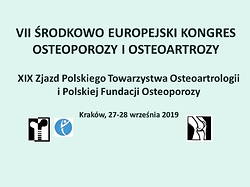 Fiłon, Tadeusz, Łukasz Rogowski, Mariusz Kusztal, Katarzyna Bulińska, Weronika Pawlaczyk, Tomasz Gołębiowski, and Agnieszka Zembroń-Łacny et al. 2019. "Muscle strength and bone mass density in haemodialysis patients". Physiotherapy Quarterly 27 (1): 39-45. doi:10.5114/pq.2019.83436. Fiłon, Tadeusz et al. "Muscle strength and bone mass density in haemodialysis patients." Physiotherapy Quarterly, vol. 27, no. 1, 2019, pp. 39-45. doi:10.5114/pq.2019.83436. Fiłon T, Rogowski Ł, Kusztal M, Bulińska K, Pawlaczyk W, Gołębiowski T et al. Muscle strength and bone mass density in haemodialysis patients. Physiotherapy Quarterly. 2019;27(1):39-45. doi:10.5114/pq.2019.83436. The aim of the study was to examine muscle strength and bone density in patients with end stage renal disease on maintenance haemodialysis. The study included 76 patients: 29 women and 47 men aged 42–90 years. The time on dialysis varied from 2 months to 13 years. Bone density was assessed with the dual-energy X-ray absorptiometry method, and muscle strength of upper and lower extremities with Rikli and Jones arm curl test and the 30-second sit-to-stand test. Significant correlations between muscle strength and bone density were found. Results varied in relation to gender. A higher rate of upper extremity muscle strength loss was noted among men. A higher rate of lower extremity muscle strength loss was observed in the female group. A higher rate of bone density loss was reported among women than in men. The relationship between muscle strength and bone mass density among haemodialysis patients warrants further study to clarify if physical exercise focused on muscle in those patients can improve bone mass density.